Keeping your home decor the same every season is quite boring to look at. You make it a point to give your wardrobe a change every few months then why not change how your home looks seasonally as well? If you rotate your decor, you can make use of all the color patterns and textures available. Now, you must be wondering how much pressure such seasonal decor change will put on your pocket. We have listed a few simple tips to follow which will help you to rotate your decor every season without much of an expenditure. First things first, you can change color of the rooms to give it a seasonal look. A bright palette can be used for spring and summer seasons and soft colors for winter seasons. Paint is quite affordable and makes a drastic change in how your home looks. You can pick uni-color for the entire room and go bold on a single wall, your entire room will come to life. Keep light and airy fabric texture in summer and switch to cozy in winter. This change in the texture does not only appeal your sense of touch but also it gives a seasonal appeal to the way it looks. Bedspread also needs to be changed as per season. During warmer months, choose bright colored, airy cotton or satin sheets with a colorful bed-cover. In colder months switch the sheets with a cozy comforter in soft colors. One of the most cost-effective way to give your home a different look is to exchange the throw pillows. Changing throw pillows with a different texture and color can bring a seasonal sense to the entire look of your home. Use floral patterns or beach blue color in summer and white, gray, ivory in colder months. If you live in one of those houses which has huge window panes on one side-wall of the room, then the curtain creates a major impact in the way the room looks. Changing the curtain seasonally so that its color and texture match the essence of the season is a great way to change your home decor. One of the greatest home decor idea is to get plants in your room corners. It makes the home fresh and lively. Each season has its own beauty and by bringing nature inside your home, you can display the essence of every season in a charming fashion. Changing accessories and pieces across the house every season is a good idea to change how your home looks. Let your summer decor resemble your own sense of style and change the decor in winter to a clean classic look. Placing a rug in the living room is quite common but changing the rug seasonally can bring the entire room together. This is a very inexpensive technique to change the entire look of the room. Choose a soft uni-color rug for the winter and bright multi-colored and patterned rug for summer. This is the most important tip of all. Sometimes, while decorating our homes we get carried away and over decorate the space. This creates mess and clutter; remember, less is more. When you switch your decor, you do not have to throw away the earlier items as that would become an expensive affair You just need to make sure to pack the remaining unused items in boxes and store it away safely as you will need it in the later season. If you do not have space to store away these items, one solution is to rent a self-storage unit to store away all these items till it is needed next year. Renting a storage unit is much cheaper than spending on buying new decor items with changing seasons. 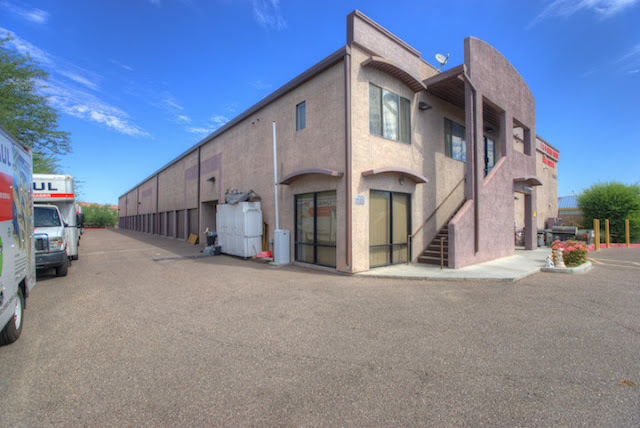 Find out more about storage unit at self storage Peoria. Changing decor seasonally is a great idea to keep your mind excited but too much change can be heavy on your pocket. Do not change the entire room decor, just change it in bits and pieces till it catches the essence of the season. Such seasonal change will make your home a happy place to live in.